Thermal energy storage (TES) can support the decarbonisation of heating system, for example by alleviating the intermittency and supply-demand mismatch issue inherent in renewable-based heating system. However, the integration of TES significantly increases the complexity of design and operational optimisation of energy systems. At present, there are no widely accepted rules regarding the level of detail of the energy systems optimisation model required to properly reflect the operational characteristics of TES while managing acceptable problem complexity. 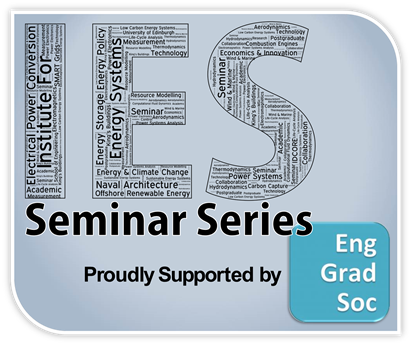 This PhD project involves the development of an optimisation framework for energy systems with TES. Models are developed starting from a single dwelling and moving towards a district energy system. Renaldi Renaldi received his first degree in Mechanical Engineering from Bandung Institute of Technology, Indonesia in 2006. He obtained his MSc. in Sustainable Energy Technology in 2009 from Eindhoven University of Technology, Netherlands. He joined the IES in March 2014 as a PhD student under the supervision of Dr. Daniel Friedrich. His PhD project is focused on modelling and optimisation of thermal energy storage integration in energy systems. The development of the turbulent in-cylinder flow in IC engines has captivated scientists and automotive engineers for several decades. Engine flows are highly more relevant than intuitively filling and emptying the cylinder contents; they are responsible for the processes that define engine efficiency, fuel economy, emissions, and engine performance. Because of this, the internal geometry of the engine is often specially designed to create optimal flow patterns that aid in fuel-air mixing and towards cleaner combustion strategies. This seminar provides an introduction of the importance of the aerodynamics of internal flows inside engine cylinders and how these play a role in improving engine efficiency. Emphasis will be placed on understanding the diagnostic methodologies (namely various forms of particle image velocimetry (PIV)) that provide detailed, in-situ measurements of the turbulent flow physics. Advances in diagnostic measurement techniques that provide transient, multi-parameter, multi-dimensional information will also be presented. These aspects will focus on improving our understanding of the engine flow physics and demonstrate how such measurements can be used to diagnose engine behaviour. Details measurements of flow, spray, and combustion that will be presented are geared towards the development of more predictive numerical models for IC engines. Brian Peterson earned his bachelor’s, master’s, and PhD from the University of Michigan in Mechanical Engineering. His PhD topic was on “Diagnosing the cause of rare misfire events in direct-injection engines using simultaneous flow and fuel-tracer measurements”. 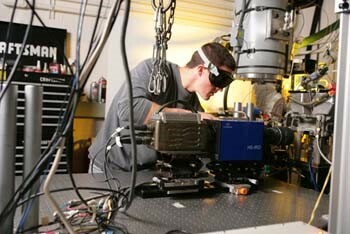 He received an honourable mention for his PhD thesis from the University of Michigan in 2010. A month after his PhD defense, he moved to Germany where he started a post-doctoral fellowship at the Technische Universität Darmstadt in the Reactive Flows and Diagnostics group in the Mechanical Engineering department. In 2014, Brian accepted his second post-doc position at the Combustion Research Facility at Sandia National Laboratories in Livermore, California USA. During his PhD and post-doctoral careers, Brian focused on developing and applying advanced laser diagnostics to reactive and non-reactive flows with particular emphasis in internal combustion engines. Since February 2015, Brian has been a Lecturer in the Institute of Energy Systems at the University of Edinburgh.